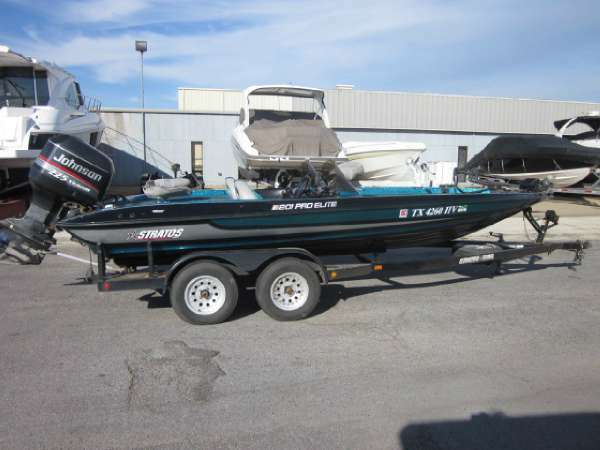 2007 STRATOS 275 XL, At 17'6" in the length, the Stratos 275 XL is proving that you can get a lot of boat at a little price. 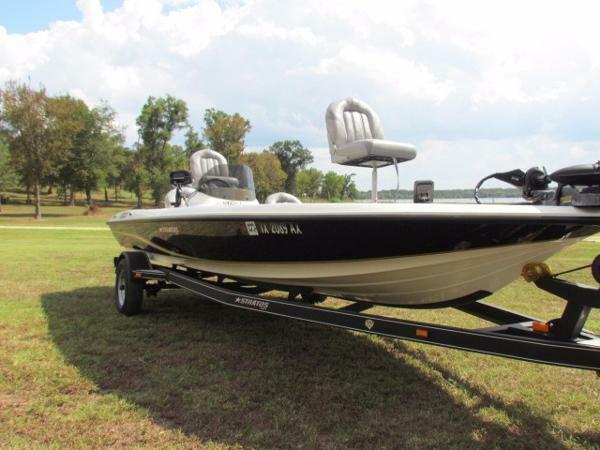 Equipped with a Yamaha 115 , the ultra fishable design makes long runs with confidence and allows you plenty of time to focus on what's important - catching fish. 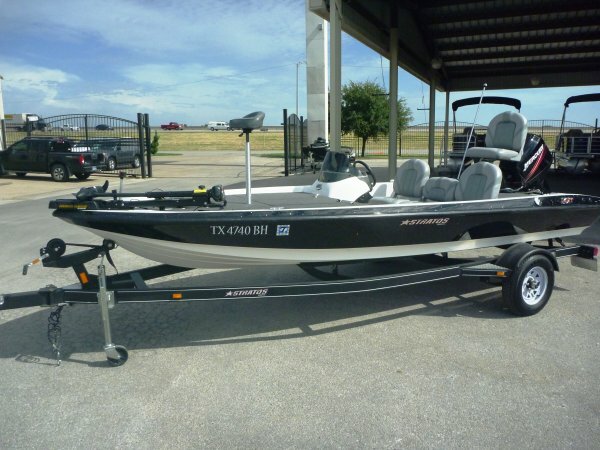 A massive 93" beam provides plenty of room for multiple anglers to fish comfortably from the front deck, while a huge center storage with integrated shelf keeps tackle and gear organized and out of the way. 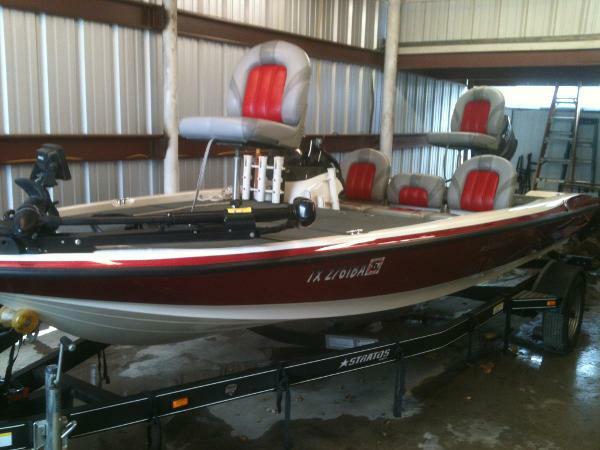 Oversized rod lockers handle multiple rods up to 7' in length, while a passenger rod ramp keeps several more rods close by. With a long list of standard features, including Minn Kota? 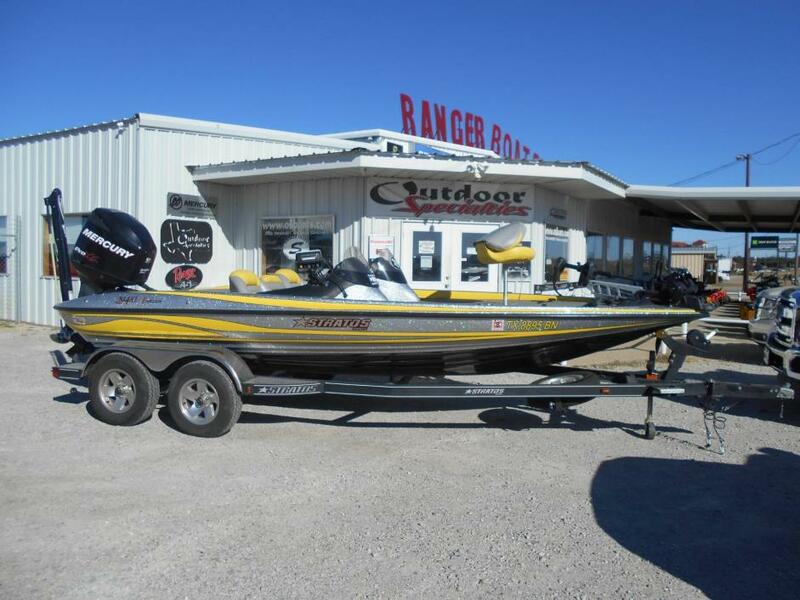 trolling motor, smooth No-Feedback steering and Lowrance? 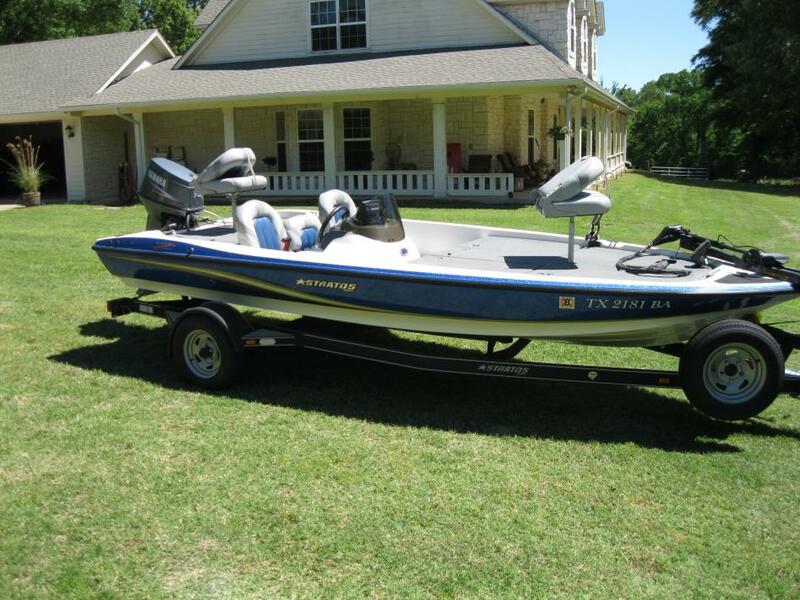 electronics, the value packed 275 XL is ready to make the most of your time on the water! 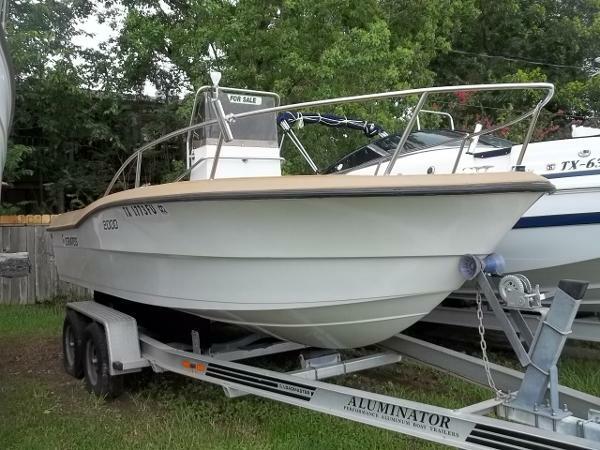 2009 Stratos 176 XT NICE CLEAN FRESH 1 OWNER GARAGE KEPT BOAT . 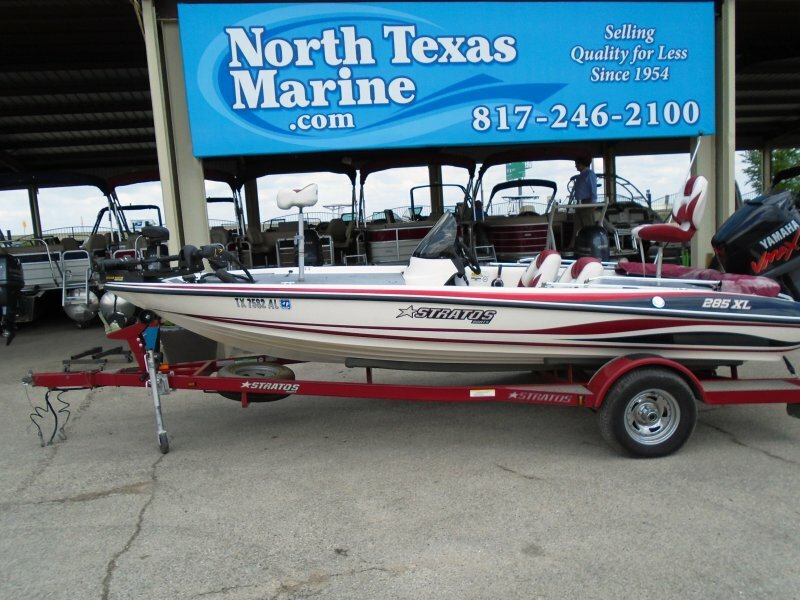 WITH YAHAMA 50 HORSEPOWER 2 STROKE MOTOR ,POWER TILT AND TRIN ,OIL INJECTION ,ONLY 45 HOURS AND EXTENDED WARRANTY . 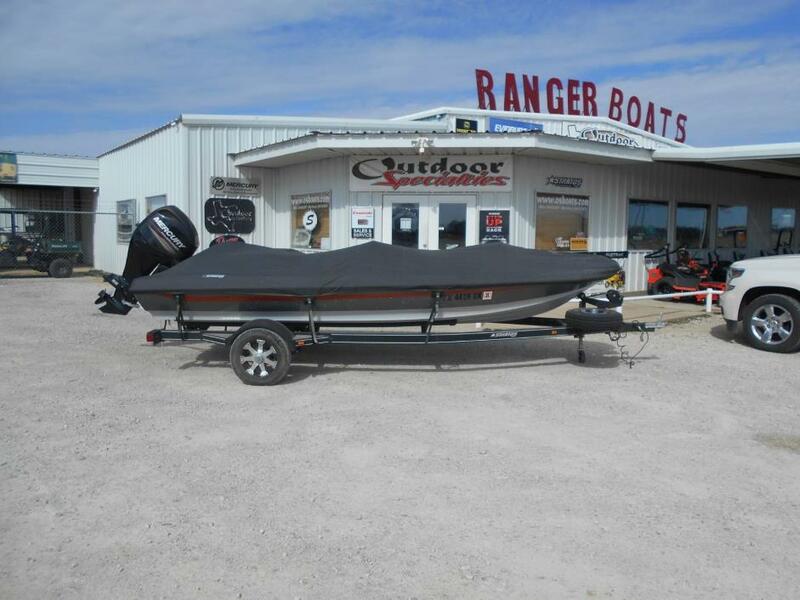 OPTIONAL EQUIPMENT 1 LOWARANCE HDS-7 GEN II AND 1 LOWARANCE HDS-5 GEN.II WITH SIDE SCAN FISH FINDERS . 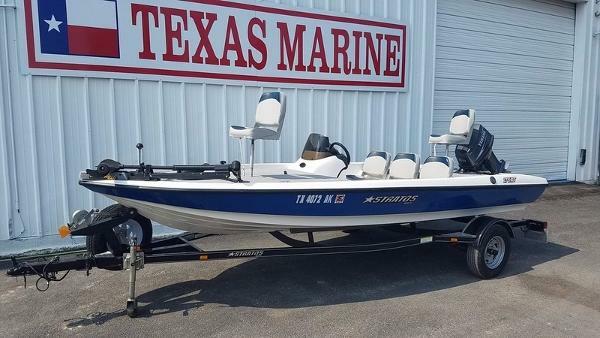 CMC HYDROLIC JASK PLATE , TWO PROPS 1 STAINLESS STEEL ,FULL BOAT COVER , CUSTOM TRAILER WITH FOLD AWAY HITCH AND SPARE TIRE ,ALL SERVICE WORK DONE BY YAMAHA CERTIFIED DEALER . 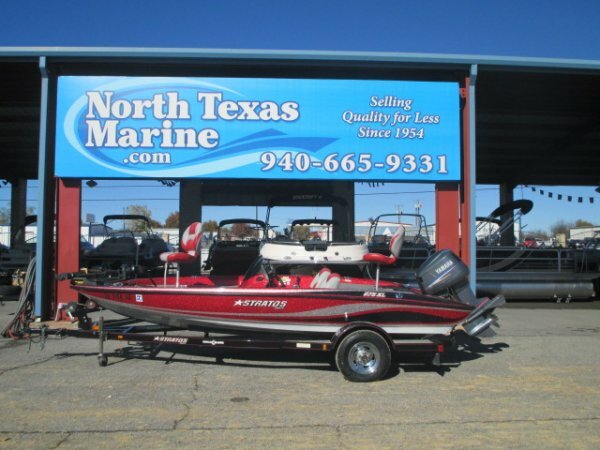 FOR MORE INFORMATION PLEASE CALL MAX AT # 817 -300 -7533 Tired of the unstable decks, cramped spaces, lack of dry storage and noisy nature of aluminum boats? 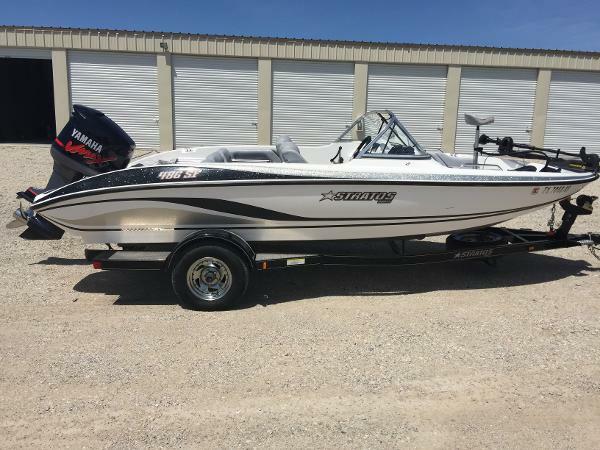 Experience an incredible transformation in the Stratos 176 XT! 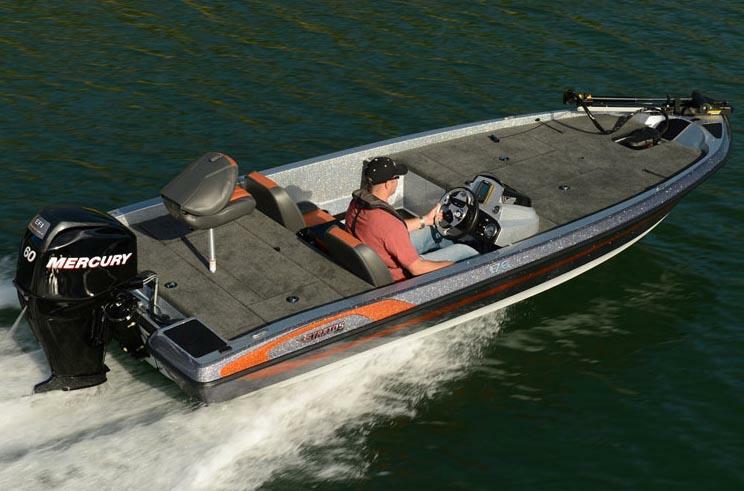 Longer, wider and touting more interior storage and fishable deck space, the 176 XT easily eclipses the best-selling aluminum models. 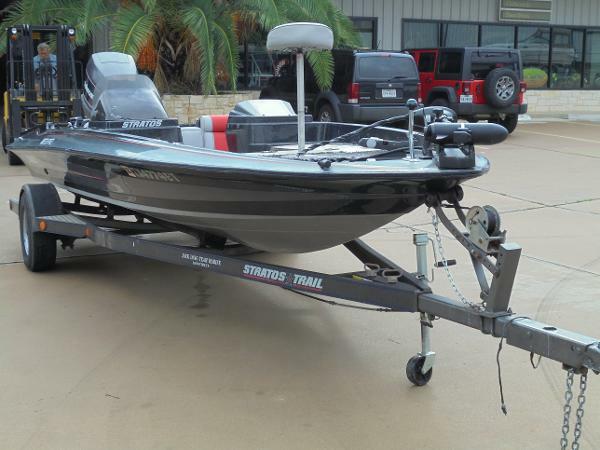 NMMA certified, the Stratos 176 XT comes fully equipped with a wealth of standard equipment including a Minn Kota trolling motor, Lowrance electronics and a large divided, aerated livewell with timer. 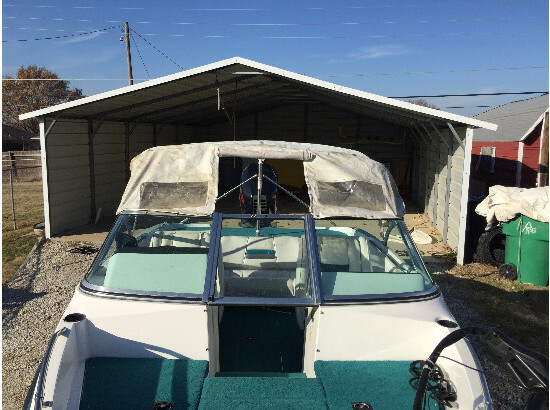 Additional custom details include a full-featured Stratos trailer, passenger rod ramp with strap, speed, tach, fuel and trim gauges, integrated drink holders, an on-board battery charger and 100 percent composite construction.